A rescue team is thousands of pounds better off thanks to a bequest from a woman its members helped during a period of wintry weather. 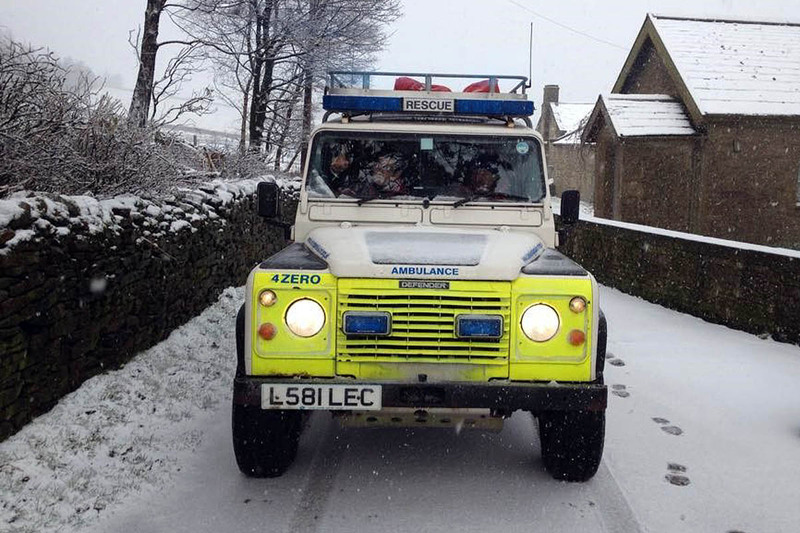 Bowland Pennine Mountain Rescue Team was called into action during a period of snowfall in 2010. Its volunteers helped the ambulance service in December that year, using the team’s Land Rovers to reach farms and houses that paramedics were unable to access due to snowy conditions. Team leader Kevin Camplin said: “It was during one of these callouts that team members attended a house in Walton-le-Dale, Preston where a female aged 86 had taken a fall and needed to get to Preston Royal Hospital as soon as possible. “Little did we know then that this event, which was one of many, would be to the benefit of the rescue team years later with a very generous legacy of £38,689. The late Joyce Dewhirst’s friends and executors Mike and Judy Beeston presented a cheque to the team’s committee members. Chairman Tim Cox thanked the Beestons for bringing in the cheque personally and explaining the full story. The bequest will have far-reaching and continuing benefits for the community the rescue team covers, and will be used on its vehicles, medical equipment and team training.